Banks have finally agreed to refund victims of sophisticated frauds. They had been refusing to pay compensation in cases where neither they nor the customer was to blame. But now a coalition of banks has agreed to pay into a fund that will ensure no genuine victim is left out of pocket. It is a major victory for Money Mail’s Stop the Bank Scammers campaign, which had called on banks to pay up. Around £1million a day is stolen through ‘authorised push payment fraud’, where customers are tricked into switching money into accounts controlled by criminals. The scammers can pose as bank staff, solicitors, police officers and even tax inspectors. Before their U-turn, banks had argued they should not pay out because the transactions were authorised by customers. Stephen Jones, head of trade body UK Finance, now says they will offer compensation when the loss is neither side’s fault. 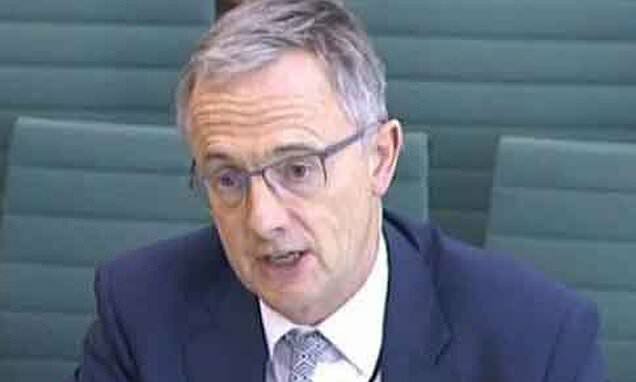 He told MPs on the Treasury committee the new fund was an interim measure until a permanent solution could be agreed with banking watchdogs. It is hoped that the interim compensation scheme will be in force by the end of the year. Banks are considering ways of funding it, possibly with a levy on transactions. They will have to put in place security measures to ensure guaranteed compensation does not lead to higher levels of fraud. Nicky Morgan, the Tory MP who chairs the Treasury committee, said: ‘It is encouraging to hear that banks on the steering group, which includes Barclays, HSBC, Lloyds and RBS, have committed to fund an initial contribution to reimburse consumers in such cases.